What goes with gingerbread better than hot chocolate? Nothing, I tell ya – NOTHING! Hot chocolate always makes me think of the scene in Polar Express on the train when all the kids are drinking cocoa. Tom Hanks sings a song called “Hot Chocolate” and it just screams holiday to me. Really, it’s the happiest most energizing song ever to be sung about a beverage. And because I love ya, HERE is the song too – because I like to be thorough here at Sewrella. I love this little ornament so much! 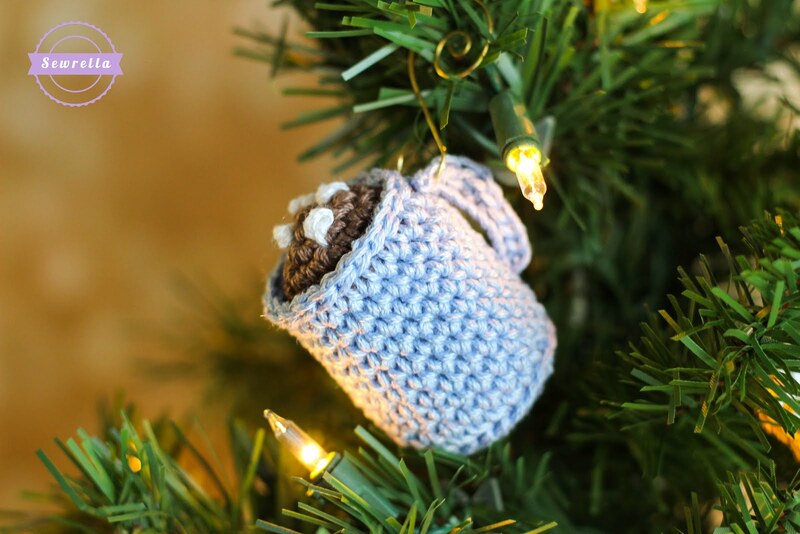 You could easily leave off the marshmallows for a “coffee ornament” or stitch on a tea bag for a “cup of tea ornament” – also feel free to make the mug in any color! I didn’t have any sky blue yet on my tree, and this color in 24/7 Cotton is just so stunning – I had to have a blue mug-o-good stuff! THE TRADITION: You guessed it, ya’ll – share a cup of cocoa with someone you love! It can be the instant stuff, the pioneer woman legal-addictive substance cocoa, or your own family recipe! Whip up a big batch and share a mug-full with your kids, friends, spouse, or your favorite Grey’s Anatomy character (am I right?). Drink up & have fun! *Fill mug with polyfil stuffing – insert enough to make the mug hold its shape but not so much that you see it through the stitches! There should still be some give if you squish the mug. I hung this little guy on my tree by the handle and I just love him! 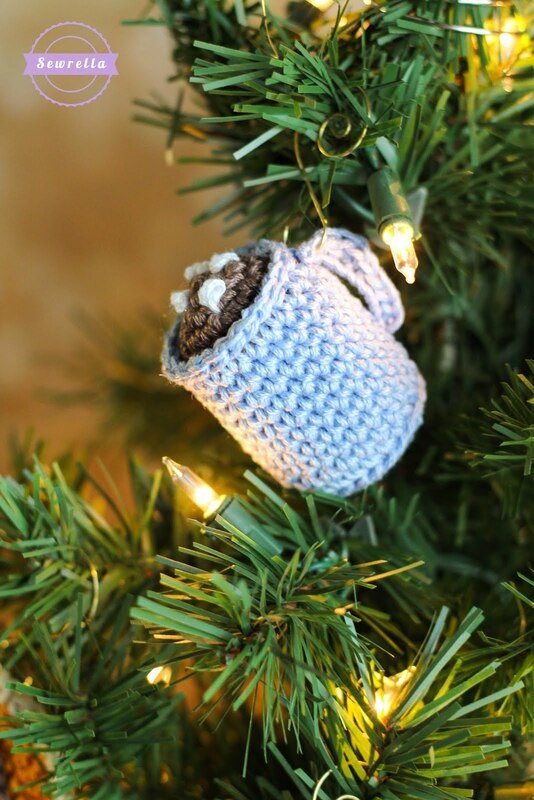 i was looking for a fun ornament to give away this christmas and i found your hot chocolate! Thanks its perfect. Awesome, it’s a perfect gift! Sending baked goodies to my sis and bro-in-law, this will be perfect to go in the box! Thank you!